I cannot remember the last time it snowed like this in Georgia. Sure I remember the occasional dusting. I even semi remember the Blizzard of ’93, but only a little. And often I wonder if I really remember it or if I have just been told stories about it so many times I THINK I remember it. But this year was different. 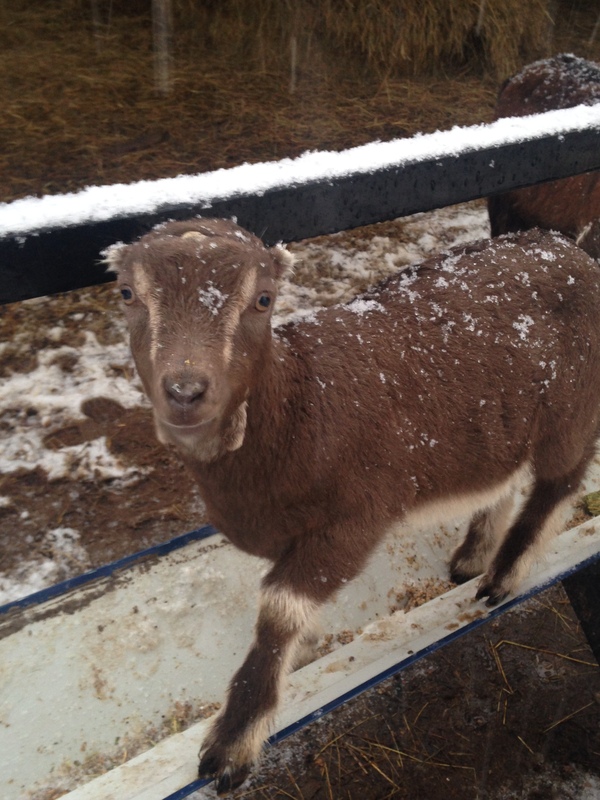 I cannot tell you the last time I have had as much fun as this snow storm brought. 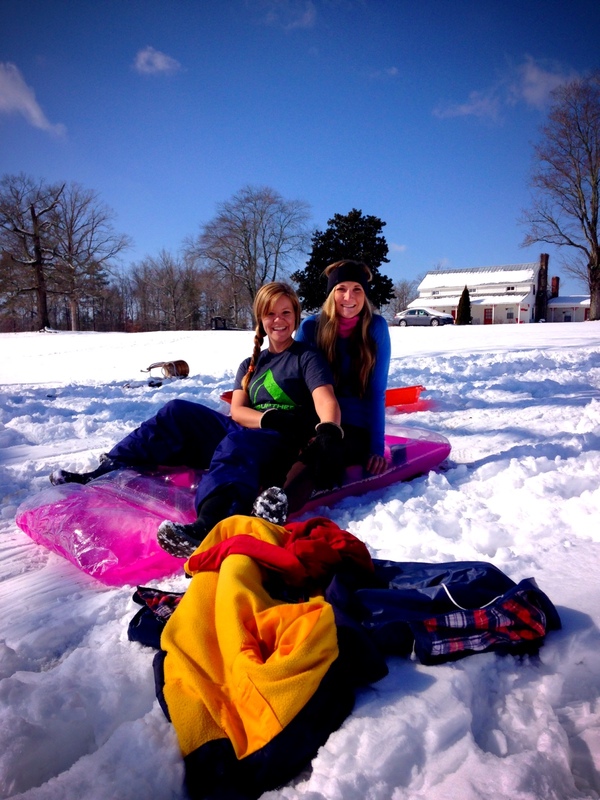 This snow brought three days of sledding, gorgeous scenery, and family fun. 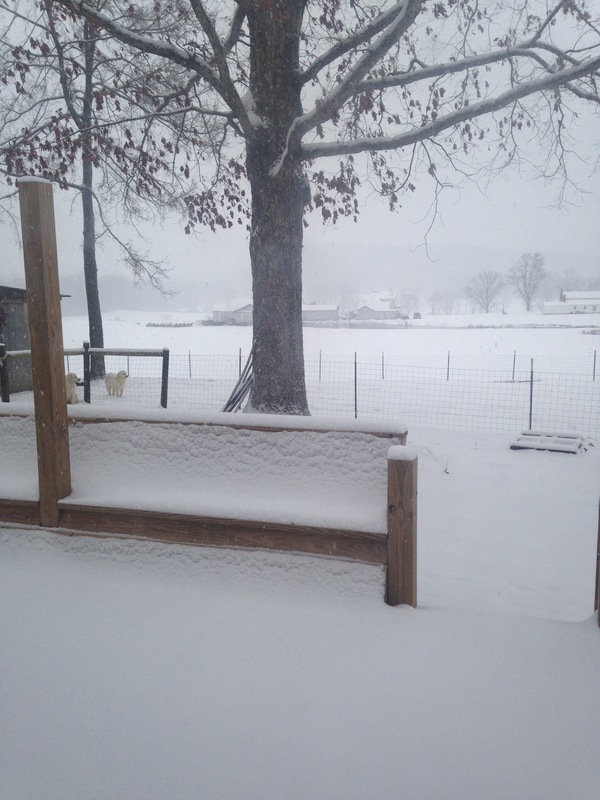 This is what we woke up to! Talk about gorgeous! 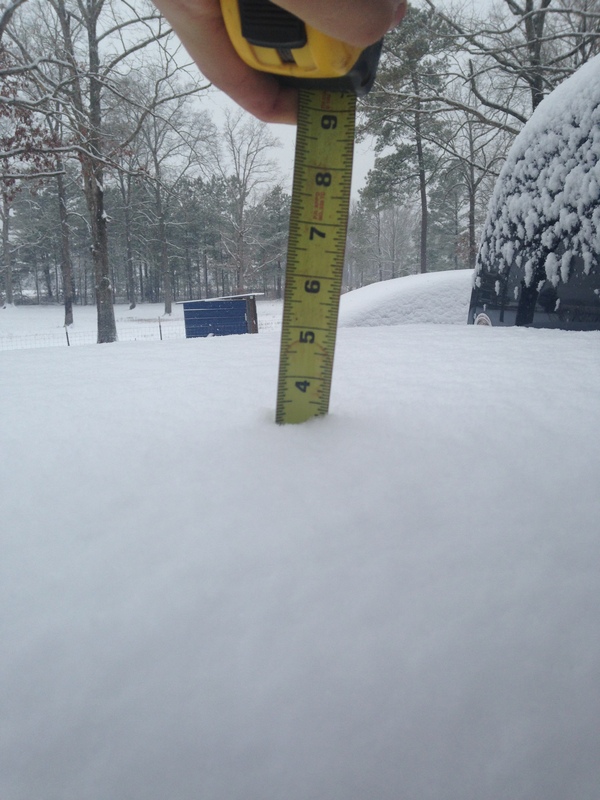 Just like any good Southerner…we got out our measuring tape! 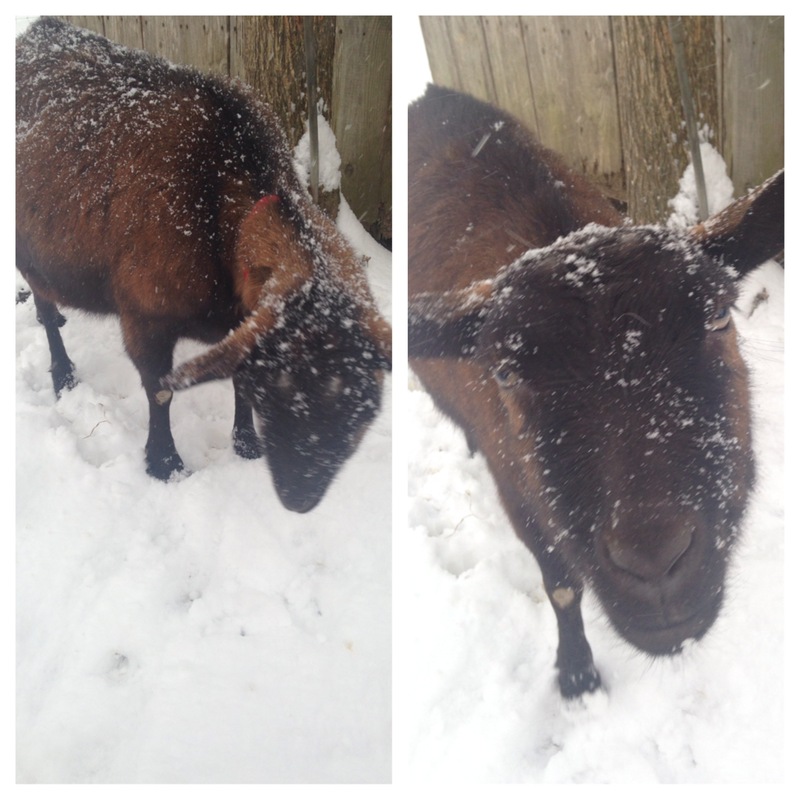 The animals were not too sure about the snow. 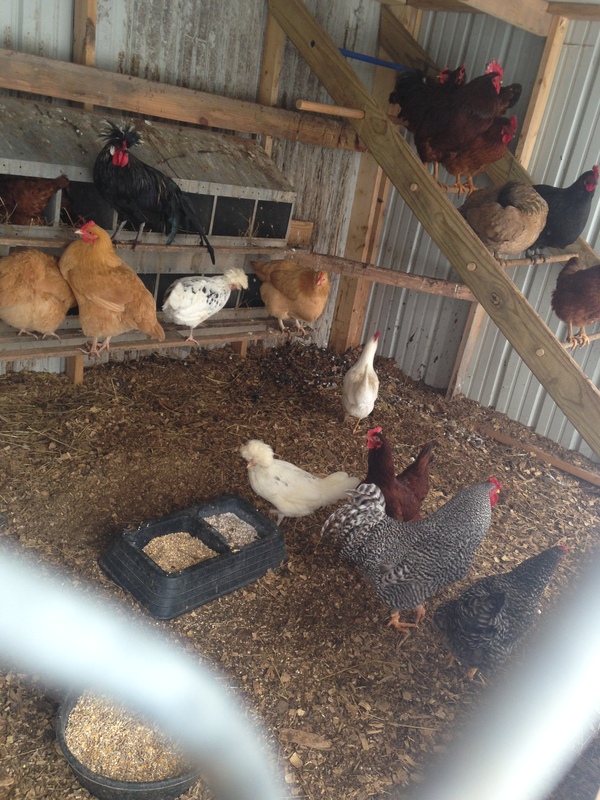 The chickens were VERY sure that they were NOT going out. 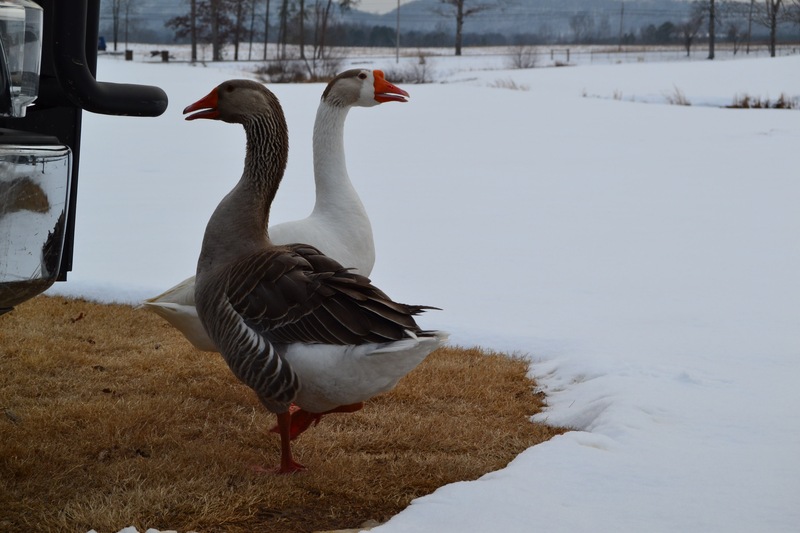 But my dad’s geese were big fans! 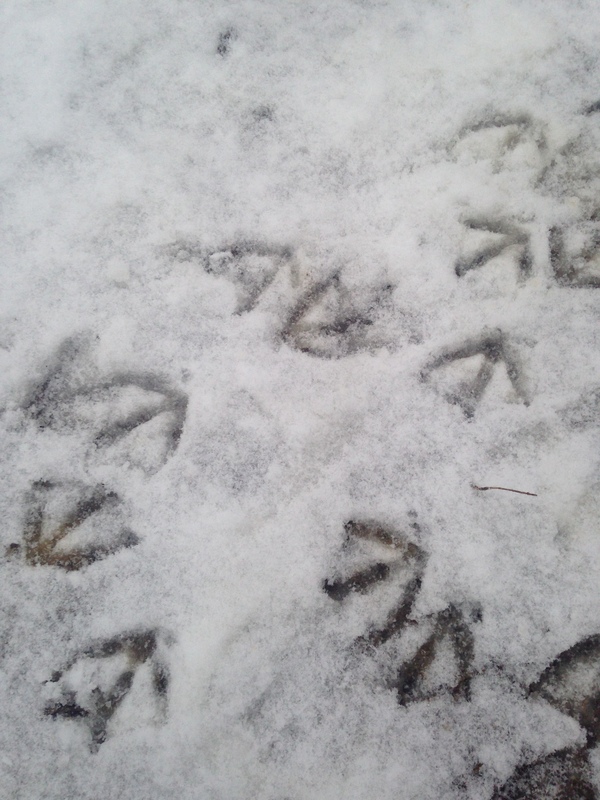 They wandered all over. 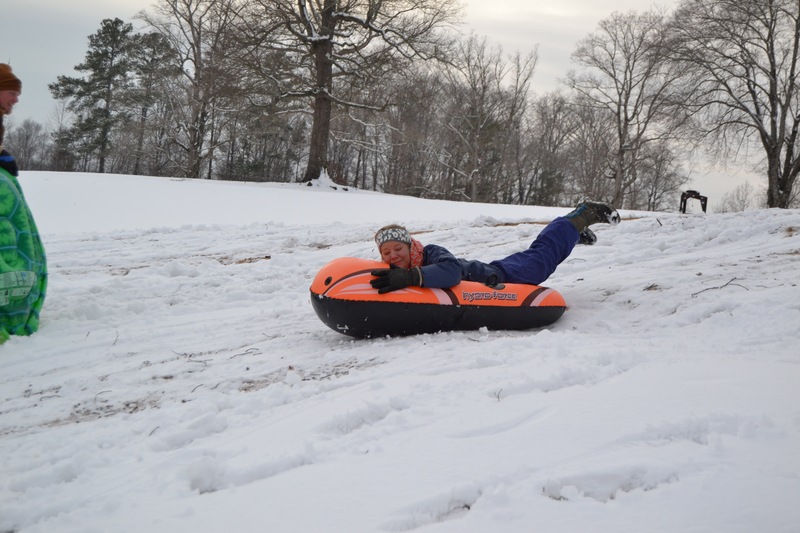 In true southern fashion we pulled out the pool floats for a little sledding! 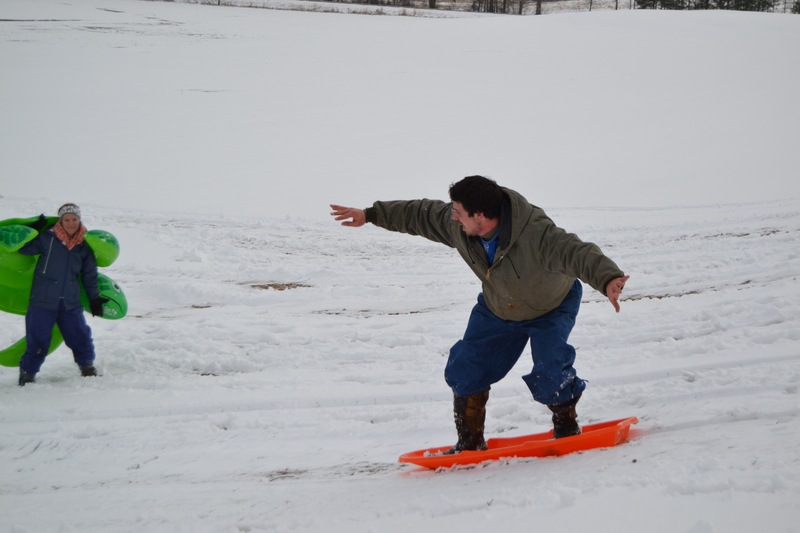 And when my nephew came (he brought REAL sleds…plastic) Uncle Justin had to show off. 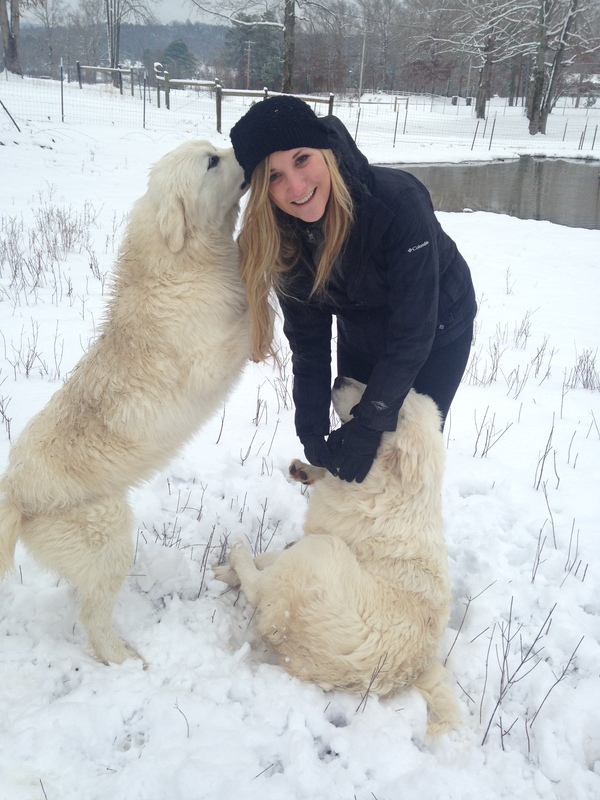 Bailey came over to sled and see the babies. 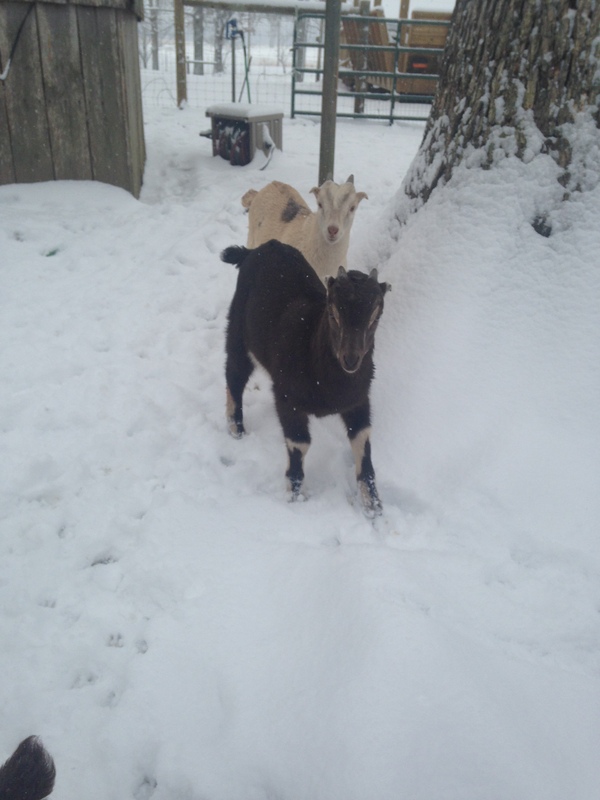 Hercules and Hebe LOVED every second of the snow. Needless to say the adults had TONS of fun on day one. 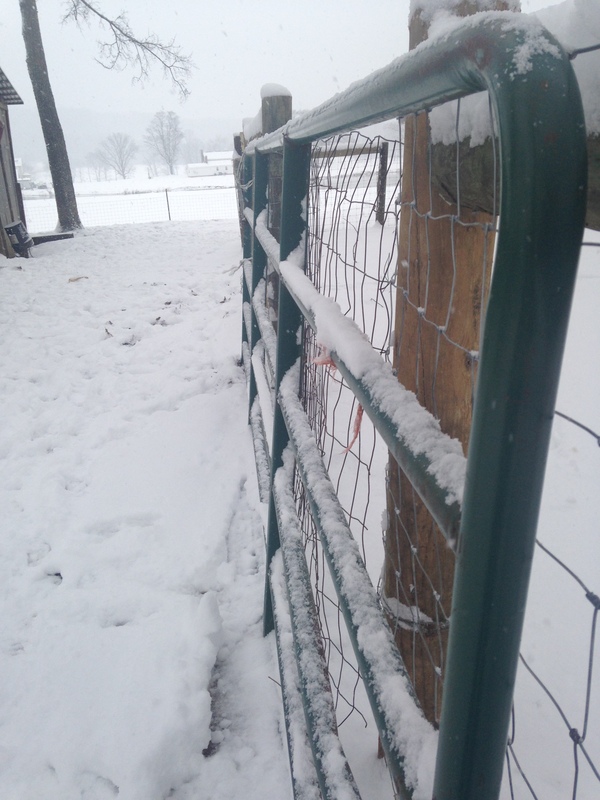 And day two was more of the same, except sleet was added to our snow and that meant one thing… SPEED! Unfortunately, I do not have any pictures to put on here. I do have a picture of this cutie on Day 2! Say hello to Truffles! Day three was absolutely amazing. 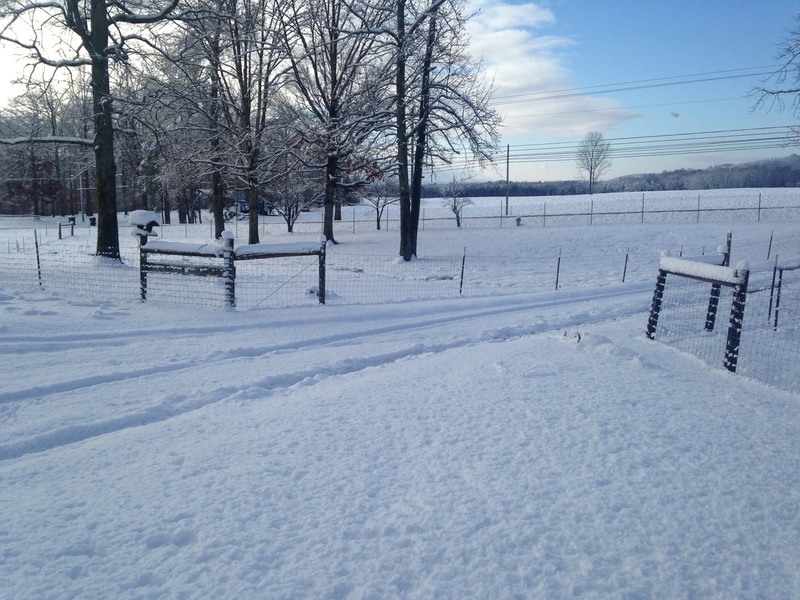 We woke up to 6+ more inches and everything looked like a winter wonderland! 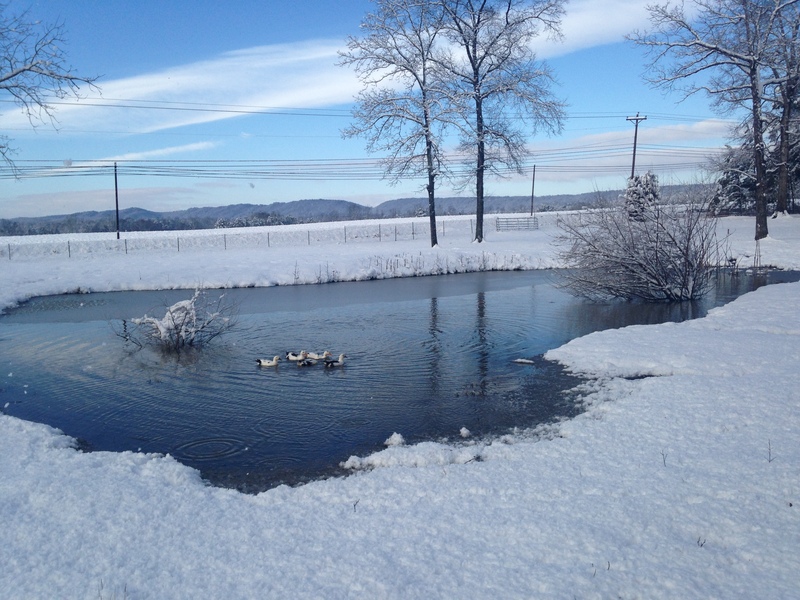 Our Ancona ducks love the pond when it is cold! 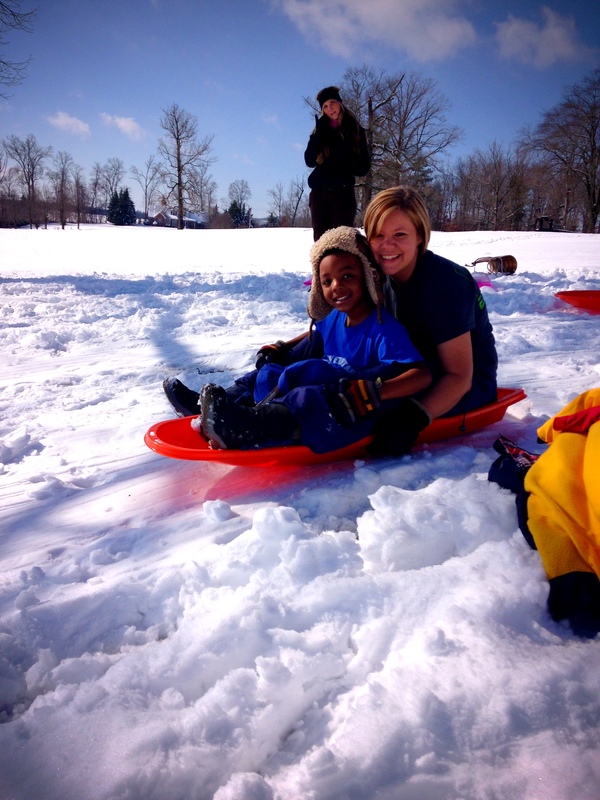 By noon the snow was melting but that did not stop us from sledding all morning! 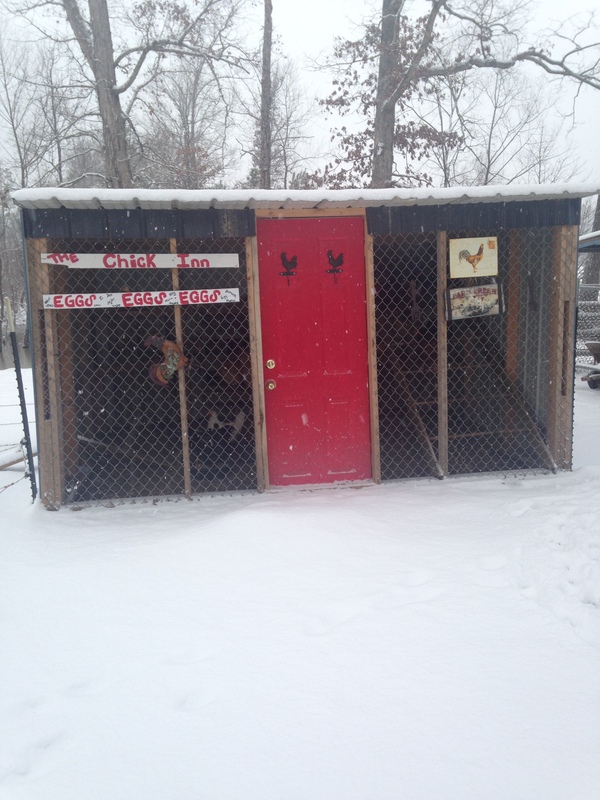 The goats and chickens may have not been the biggest fans of the snow but the rest of us (including the ducks and Great Pyrenees) not only loved it but we made the most of it! 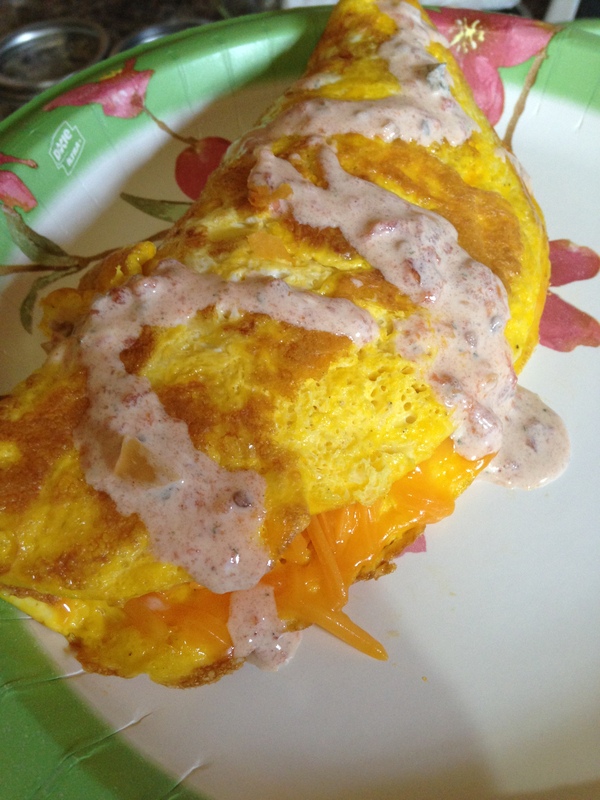 I will leave you with this yummy recipe for southwestern omelets! 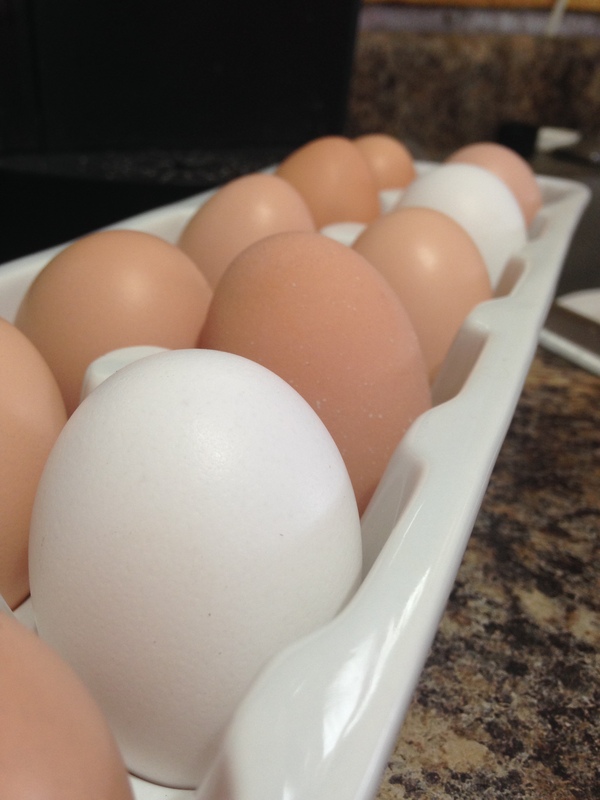 Having fresh eggs is something we love and we make omelets a lot. After beating my eggs together I add a little salt and pepper. 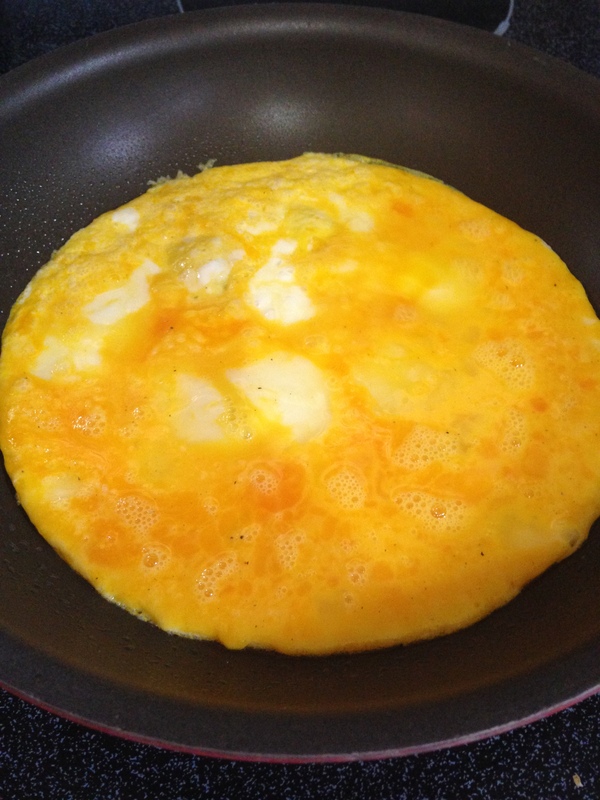 I then pour enough in the pan to start an omelet. After it has been flipped I add some of the seasoned chicken, the salsa ranch mix, and cheddar cheese. I then fold it over and let it all melt together for a minute. When it is all good and melted I move it to a plate and add more of the salsa and ranch mixture on top. How do you like my “fine chine” aka paper plates? 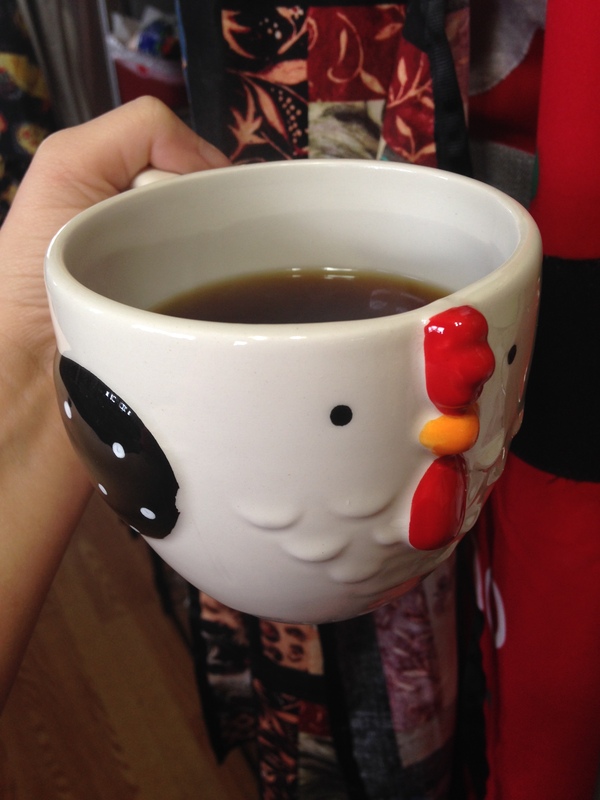 And last but not least…No breakfast is complete without a cup of coffee! Enjoy!